CALDWELL, Idaho — Martin Fujishin has been on quite a run in the past two years, and now he’s got best of show at the 2018 Idaho Wine Competition to add to his history. 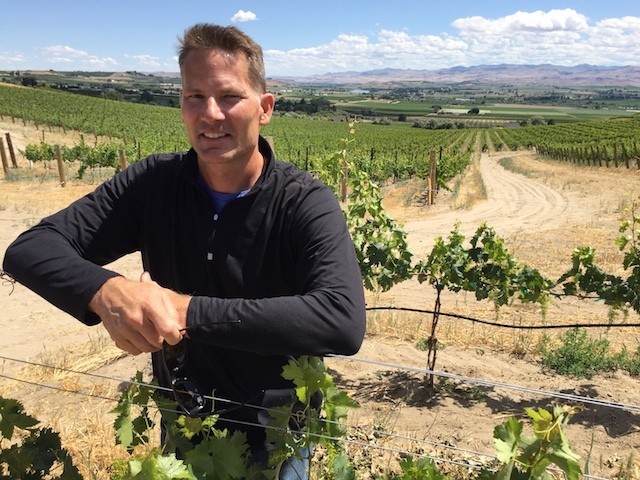 The winemaker who grew up in the Snake River Valley community of Adrian, Ore., topped the field of 143 entries with the 2017 Riesling that he made under his consumer-minded Lost West Winery brand. Fujishin also received the award for the best sweet of the competition with his Fujishin Family Cellars 2017 Late Harvest Riesling. 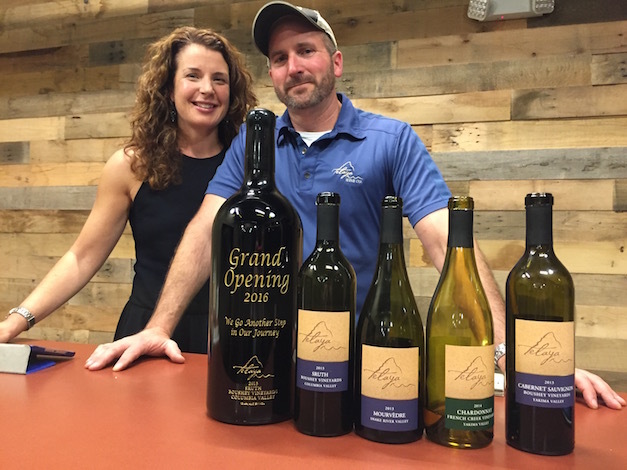 This spring, Wine Press Northwest magazine named Fujishin Family Cellars as its 2018 Idaho Winery of the Year. 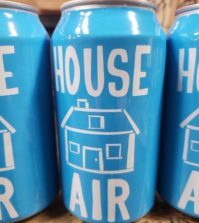 In 2017, Wine Business Monthly, a California-based publication, profiled Fujishin among its Hot Brands among the likes of Amavi Cellars and Sleight of Hand Cellars in Walla Walla and Illahe Vineyards in Oregon’s Willamette Valley. 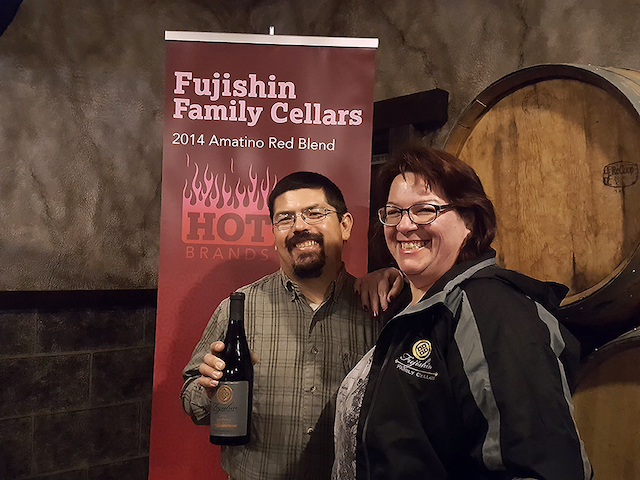 Fujishin Family Cellars was just the second Idaho winery to earn that honor. Cinder Wines in the Boise suburb of Garden City was the first in 2009. The ninth annual Idaho Wine Competition represented 39 of the 52 wineries in the state. The judging panel included Mike Dunne, wine writer for the Sacramento (Calif.) Bee; Lane Hoss, wine buyer for Anthony’s Restaurants; Bill Ward, the Minneapolis Star-Tribune’s James Beard Award-winning wine writer; and Sheri Sauter Morano, a Master of Wine from Durham, N.C. The Telaya Wine Co., 2016 Turas emerged as the competition’s best red wine. 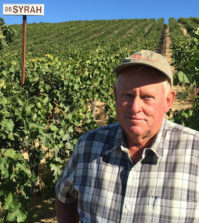 The Garden City producer has come to rely on fruit from famed Skyline Vineyard and longtime viticulturist Dale Jeffers for its flagship wine. “Turas embodies the spirit of Telaya,” said co-owner/co-winemaker Earl Sullivan. “It means journey in Irish. Our first wine was a Syrah-based blend, which was the start of our wine journey. The Sullivans also earned a gold medal for their 2016 Cabernet Sauvignon, which they source from acclaimed Quintessence Vineyards on Red Mountain, arguably the most prized growing region in Washington state. Sauter Morano was eager to return this summer to Idaho to survey the Gem State’s emerging wine region. In 2003, she was only the second woman in the U.S. to qualify for entrance into the Institute of the Masters of Wine. She accomplished that at the age of 28, making her the youngest American woman to do so. Dunne has served as an Idaho Wine Competition judge three times in the past four years. Those experiences have provided him with a prism into one of the most exciting regions in the United States. Gregg and Mary Alger of Huston Vineyards on Chicken Dinner Road entered seven wines into the judging and earned a gold medal or better with six of them, a showing that included the best rosé, best Cabernet Sauvignon and a rare unanimous double gold medal for its Chicken Dinner White Wine blend. 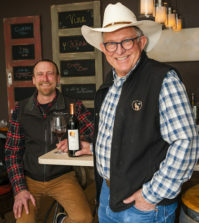 Second-generation Indian Creek Winery in Kuna earned five gold medals, all for red wines, including its bargain Star Garnet Red Blend ($15) and its reserve Mourvèdre, which it labels as the Spanish synonym Monastrell. The talented winemaking of Greg Koenig was behind seven gold medals at this year’s judging. In addition to gold medals for his 2017 Riesling and 2014 Riesling Ice Wine, he also served as the gold-medal winemaker for the Bitner Vineyards 2015 Erlexte Tempranillo and 2017 Dry Riesling, the Scoria Vineyards 2016 Petit Verdot and the Williamson Vineyards 2014 Syrah and 2014 Reserve Petite Sirah. Last year, Melanie Krause used a Dry Riesling under her Cinder Wines brand to claim best of show at the Idaho Wine Competition, and she remained a force in this year’s field of entries with the best Syrah and a gold for her 2017 Dry Viognier. The product of Ste. Michelle Wine Estates also consults on the red wine program at Huston Vineyards. 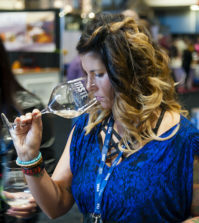 Leslie Preston at Coiled Wines, who operates two tasting rooms in the Boise area, earned four gold medals, including the award for best sparkling wine with her 2016 Rizza, a play on the Australian nickname for Riesling. Lewis-Clark Valley producer Clearwater Canyon Cellars in Lewiston earned two gold medals, include a best of class award for its 2016 Renaissance Red. 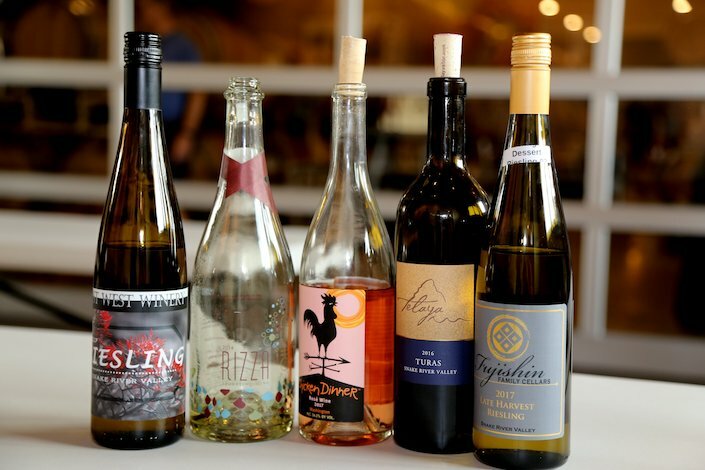 There’s a wealth of talent in the cellar at Koenig Vineyards, where Fujishin is the assistant winemaker, and Tuesday marked the second time in three years that a Riesling from that production facility was voted as the state’s best wine. In 2016, the Koenig Vineyards 2014 Botrytis Single Berry Select Late Harvest Riesling emerged No. 1. “We make our living with red wines and use Riesling to win awards,” Koenig quipped. Fujishin’s Riesling came from a block leased long-term from Ron Bitner, who first began planting grapes on the Sunnyslope in 1981. Fujishin managed Bitner’s vineyards prior to launching Fujishin Family Cellars. The growth pattern, prompted by demand, is for Fujishin to produce 4,000 cases from the 2018 vintage. Vines in Idaho are enjoying a bounce-back growing season after winter and weather damage Idaho vineyards suffered in 2017, and winemakers are giddy about of the health and size of the crop. 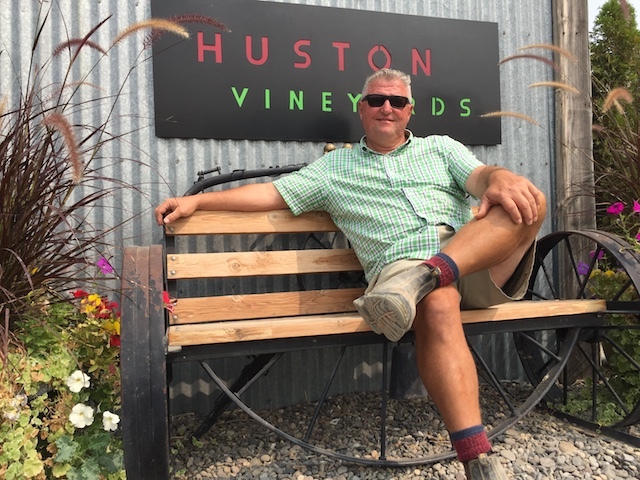 This week marked the third consecutive year and fourth time in the past six years that a winemaker used the noble grape of Germany to win best of show at the competition, which is orchestrated by Great Northwest Wine on behalf of the Idaho Wine Commission. The judging was staged at the showpiece Koenig Vineyards in the Sunnyslope Wine District near Caldwell. Each year, that vinification facility produces about 22,000 cases of wine.